This is an oval Western Union Cable Office porcelain sign. This particular Western Union Cable Office sign is blue with white text. 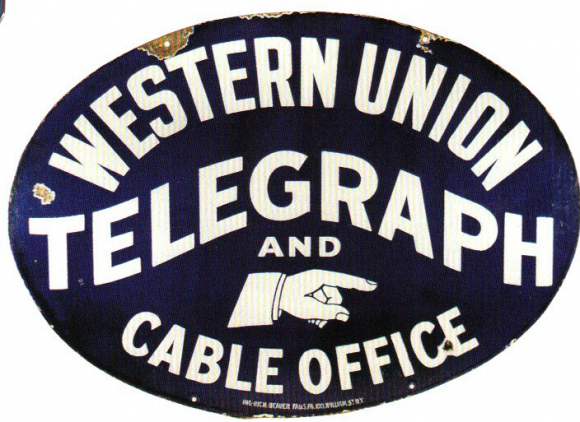 It reads, “Western Union Telegraph and Cable Office” and features a hand pointing to the right in the center of the sign.